Over the last few decades, manufacturing has been shifting from densely populated regions of the country to more rural areas. A recent surge in manufacturing investments have benefited some smaller cities and towns, where land is inexpensive, energy often cheap and the workforce is seeking higher paid, blue-collar work. Since 2010, the country has added a million industrial jobs, roughly half of what was lost in the 2008 U.S. economic recession. Mount Sterling, Kentucky is one of those small towns seeing a boom in business. Mount Sterling has a thriving manufacturing sector that provides more jobs per capita than any community its size in the state. Since 2010, the country has added a million industrial jobs, roughly half of what was lost in the recession. A list of the industries in Mount Sterling may be found at the Mount Sterling Chamber of Commerce. The recent influx of new opportunity for the residents of Mount Sterling isn’t just limited to the manufacturing industry. Numerous other vital economic industries are growing within this small town. In 2011, Saint Joseph Mount Sterling continued its commitment to the community by building a new $60 million, 114,000 square foot facility. When the residents of Mount Sterling speak of the town you hear many things about October Court Days and the famous Blue Monday from Ruth Hunt Candies. Did you also know that Montgomery County, Kentucky, was the home of Nancy Green, the original Aunt Jemima? You rarely hear the mention of underground mining in Mount Sterling. Even though no active underground mines reside within Montgomery County, Kentucky does rank in the top 5 states that produce crushed stone and it has more underground stone mines than any other state. In central Kentucky, Ordovician age limestone and dolomite are mined and quarried for us as construction aggregate and flue gas desulfurization (FGD) material, or scrubber stone. 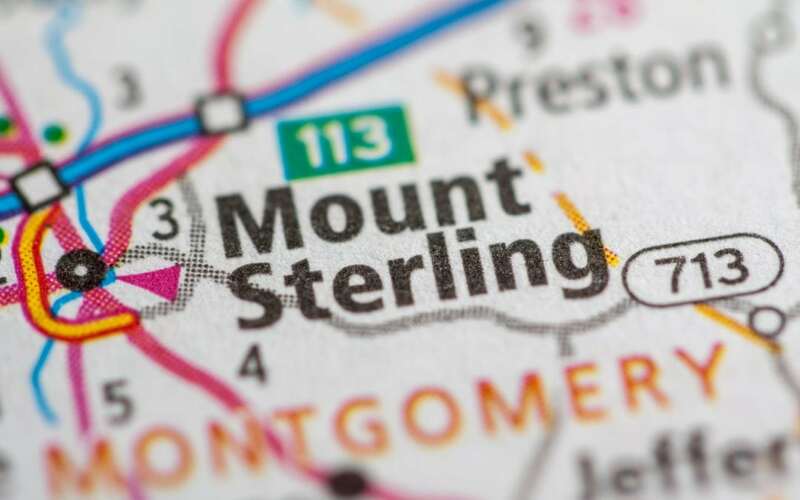 Mount Sterling is often referred to as the Gateway Community between Kentucky’s rich limestone bearing Bluegrass region and its coal producing Appalachian region to the east. With Kentucky’s natural resources and Mount Sterling’s growing economy, it makes perfect sense that several businesses in the mining and construction industry call it home. We, Groff Engineering & Consulting, are based in Mount Sterling for that reason. Others include SMC Dragline Service Inc., Boyd Fabrication & Repair, The Walker Company, and Jennmar, to name a few. Mount Sterling is also close to the University of Kentucky and its College of Mining Engineering, located in Lexington, KY, which is one of the top programs of its kind in the U.S.
Mount Sterling Downtown also recently won the Governor’s Award for Beautify the Bluegrass, being recognized for exemplary devotion to the cleanliness and beauty of its community and extraordinary demonstration of civic pride in its community and the Commonwealth of Kentucky. This recognition makes us especially proud to be located downtown where so many great things are happening.